What is a “good-faith” dispute in a wage and hour case? One of the issues that arise when your employer doesn't pay you the wages you are owed is whether or not the non-payment of wages was in "good-faith." Make no mistake about it - this "good-faith dispute doesn't keep you from being paid the wages you are owed under the law. You are still entitled to your wages. However, if the employer can prove that not paying you certain wages was based upon a "good-faith" defense - then you may not be entitled to these wages? Specifically we are talking about waiting time penalties and liquidated damages. I explain what these are in this article and how it may affect the wages that you may be owed. When Can an Employer Claim a Good Faith Dispute? The good news is that, even by making a good-faith defense, the employer agrees that the employee’s claim is valid. However, the defense allows an employer to state the reason why the wages were not paid on time—and if the reason is valid, the employer can get out of paying some or all of the waiting time penalties. When your employer pays you late when you terminate your employment - you are entitled to waiting time penalties. Here is a great article on California waiting time penalties. By law, employers are required to pay all outstanding wages owed to a worker within 72 hours of the employee’s last shift. If you give notice that you are quitting or you are fired, then your employer must pay all of your wages on your last day. If this is not done, the employee can collect waiting time, which is an additional day of pay at the employee’s regular rate for each day the worker is kept waiting for his or her final wages. A “good faith” dispute removes an employer’s liability to pay waiting time penalties to an employee. However, the worker is not eligible for waiting time penalties in California if the employer shows that there was a good reason the wages were not paid. When the law is uncertain, than the employer may have a good faith dispute. If your employer fails to pay you at least minimum wages for all hours that you work, then you are entitled to liquidated damages. Under some circumstances, an employer can admit that the company owes you back pay while also reducing the number of liquidated damages you are owed. Liquidated damages are an additional amount equal to the amount of back pay owed, and are intended to punish the employer for wrongdoing. If the employer had reason to believe that he or she was doing the right thing—for example, listening to the advice of a lawyer who gave misinformation—then the company may not be liable for liquidated damages. But know this, the company has the burden of proving that not paying you wages for all time you worked was in "good-faith." While this is possible, in the real world, it's very difficult. What is an unpaid wages analysis? The best way for California workers to find out how much unpaid wages you're owed is by getting a confidential, no-obligation, free unpaid wages analysis. For more information on how you can claim your free unpaid wages analysis check this out. What you are going to find is that whenever you suspect that you aren't getting paid all the wages that you are owed under California wage laws, then you are probably owed a lot more wages and/or penalties than you realize. I suggest that you don't leave your hard earned money in the company's wallet. These are your wages and you need to take action to recover the hard earned wages that you are owed. How can I prove that my employer owes me unpaid wages? In order to get compensation for a wage and hour violation, you need two things: you must know how state and federal wage and hour laws apply to you, and you must be able to prove how much you have worked and how much you have been paid. What you're going to find is this isn't as crazy as it might first appear. The hardest part is knowing what to look for. That is, how employer's regularly try and get away with not paying workers all of the wages they are owed. This is the first place to start. In order to know if you've been paid all of the wages you're owed you should first check what you have been paid for. You shouldn’t rely on just your pay stub to tell you when and where you worked. Always keep your own schedule in a separate calendar that can be used to double-check your hours against your employer’s records. If you haven't done this - that's okay. What you're looking for here is to see if you're employer has paid you for all of the time that you worked. A lot of company's will shave time. That is, not count a few minutes here and a few minutes here. Another thing company's will do is deduct for meal periods when you're not really relieved of all duties. Which is illegal under California law. Last-minute schedule changes and shift-swapping can cause confusion in payroll, but that doesn’t excuse an employer from paying your wages. If you traded shifts or worked at an alternate location, contact the other employee or manager who can confirm the time you worked. Some employees are ineligible for overtime based on the income they earn or the tasks they perform. If your employer has classified you as exempt when you are not, you could be owed back pay dating all the way back to your hire date. Employers are required to pay workers for any unused vacation or paid time off after a worker leaves employment, so always make sure your leave balances have been accounted for. Not only are employees entitled to full and accurate pay, they have a right to receive these payments within a reasonable amount of time. Check your calendar closely to see if you could be owed interest on your unpaid wages as well as an additional waiting time penalty. After you have collected this evidence, you should speak with an attorney to determine if you have a valid wage and hour claim. Under California law, you can collect unpaid overtime for up to three years prior to the date you file your claim, so it is vital that you act quickly. Please feel free to use our website to learn how to get proper compensation under California pay laws. Under California law, you're entitled to getting paid an hour's pay when you're not provided a legal meal period or rest break. Click here for an in depth article on California's rest beak laws. If this sounds like it's a lot of work for you, then click here to find out more on how to get a free, no obligation unpaid wages analysis. 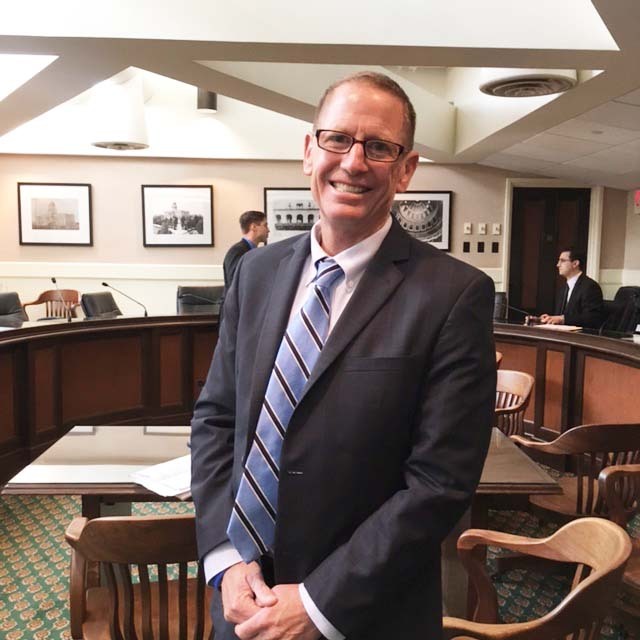 Bill Turley is regularly asked to testify before the California State Senate and the California Assembly concerning potential wage legislation. The California legislature is how wage laws are made. 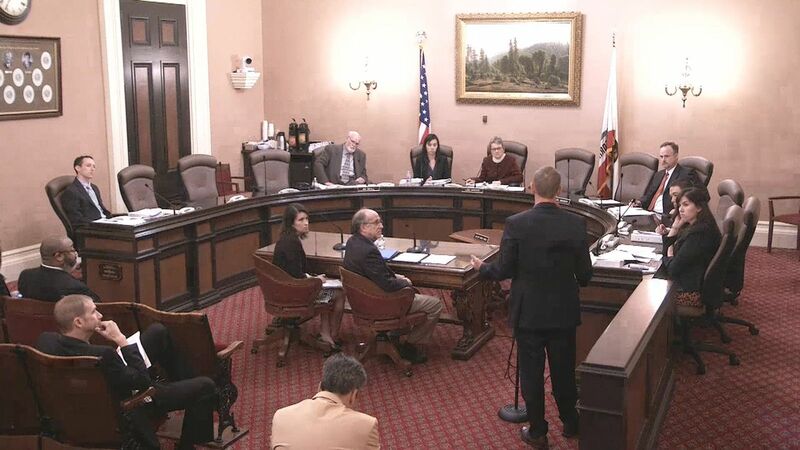 Usually when Bill testifies before the California State Senate on wage and hour issues, Bill is the only class action lawyer invited to testify at the hearing. 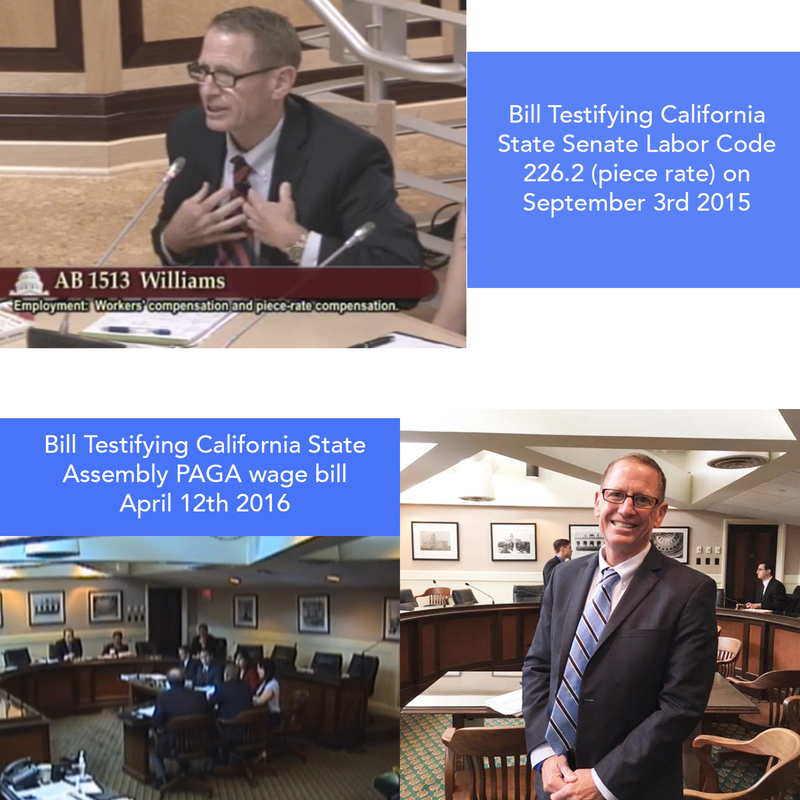 Bill testifies regularly before the California State Assembly and California State Senate on the new PAGA bill (read: wage theft legislation). Straight - forward, No B.S. If you follow me at all, you’ll know that I’m all about telling like it is. Believe it or not, I’m know for being straight up. It’s why I’m the go-to guy in Sacramento on wage and hour law. 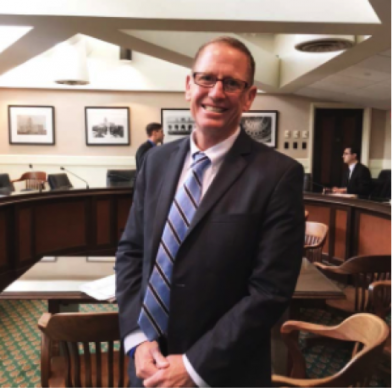 I’m the wage and hour class action lawyer that is regularly asked to testify before the California State Senate and the California State Assembly on wage legislation. The reason I’m always asked to testify is that I’m going to give it to them straight. No B.S. I tell people what they need to hear - not what they want to hear. So here I go again. This isn’t going to be popular. But here is the reason why I offer workers a confidential, free, no obligation unpaid wages analysis. The truth is that there are only a handful of wage class action lawyers in California that can properly analyze an unpaid wages case. I’m not saying this to brag, I’m just telling you like it is. The problem for you is that there are dozens of dozens of lawyers that will rank high on your Google search that just aren’t very good lawyers. In fact, most of them are not good lawyers. How do I know this? Because I see them screw up cases all the time. I’ve been blessed in a few respects. I’ve been in a firm that is one of the top five unpaid wages class action firms in California. I’ve had the opportunity to be a student of the law. When the other lawyers I’ve worked with have been handling all these unpaid wages class action cases, I’ve been blessed to be allowed to simply study the law. To have the time to think about new strategies, new theories, new ways to enforce California’s wage and hour laws. take what I’ve learned in my studying and have applied it to our cases. This where I’m coming from here. You can gather all the evidence you want - and that is very helpful, don’t get me wrong. But unless you’ve been studying California wage law for years, you’re just not going to get it. You’re not going to “spot all the issues,” so to speak. And the problem you also face is that most lawyers that you are thinking about hiring - they aren’t going to get it also. I know this because I see other lawyers screw these cases up all the time. I know this isn’t popular to say - but it’s the truth. They may have fancy websites, they might talk a good game - - but at the end of the day - they just aren’t that good and many are down-right bad. Even terrible. So my best advice to you is that if you suspect that you haven’t been paid all the wages that you are owed under California law, that you avail yourself of our confidential, free, no obligation unpaid wages analysis. I’m not saying you have to hire my or you will lose your case. I’m just saying that there are only a handful of lawyers that I would trust to win your unpaid wages case in California. So, after we have conducted your confidential, free, no obligation unpaid wages analysis - - and you don’t want me to help you, I’ll give you the names of a handful of other wage and hour class action lawyers that I trust will do a great job for you and your co-employees. Can a California employer fire a worker who is out on a leave of absence? Not to give you a lawyer like answer, but, it depends. The short answer is “Yes,” if your employer has less than fifty (50) employees. That is, your employer can fire you if you take a leave of absence. Assuming, that is the reason why you were fired. If this is you, I suggest you keep reading to see what you other legal options are to get money compensation from your employer. If your employer has more than 50 employees than you may be protected if you take a leave of absence and you are an eligible employee under the California Family Rights Act (CFRA) or the Family and Medical Leave Act (FMLA). I explain these in more depth in this article. What if I was fired from work in California - what are my other legal options for getting money compensation from my employer? Put another way, all the time I have folks contact our office with one employment law problem and we do a legal analysis and figure out that they have significant (read: they may be entitled to a lot of money compensation) other employment law claims. The last thing you want to do is for you to leave your hard earned money on the table, so to speak, when you’ve been fired from your job is California. California Family Rights Act (CFRA) covers you if your employer does business in California and employs 50 or more part time or full-time employees. • In order to be eligible for CFRA leave, you must be an employee with more than 12 months of service with your employer and you must have worked at least 1,250 hours for your employer in the 12-month period before the leave begins. • You may take an unpaid leave to bond with an adopted or foster child or to bond with a newborn. • You may take unpaid leave to care for a parent, spouse, or child with a serious health condition. • You may take unpaid leave for your own serious health condition. • If you are a full-time employee, you may take leave of up to 12 work weeks in a 12-month period. • If you are a part-time employee, you may take leave on a proportional basis. • The leave does not need to be taken in one continuous period of time. • Your employer may require a 30-day advance notice of the need for a CFRA qualifying leave. When this is not possible due to the unexpected nature of the leave, notice should be given as soon as practicable. • Your notice can be written or verbal and should include the timing and the anticipated duration of the leave. However, I suggest that you try and document your request in writing, so you can document that the request was made and when it was made. • Your employer must respond to your leave request within 10 calendar days. If a response is not received in 10 days, you might think about sending them a friendly email as a follow up. As with most things in life, as my Mom said, you catch more flies with honey than vinegar. As a practical matter, you really don’t want a CFRA lawsuit, you want to be able to take your legally mandated leave and come back to work. And if you do end up having to file a CFRA lawsuit, you want to be reasonable because this will all be evidence in your case. • Your employer may require written communication from the health-care provider of the child, parent, spouse, or employee with a serious health condition stating the reasons for the leave and the probable duration of the condition. If you are eligible for leave under the CFRA, you may also be entitled for leave under Pregnancy Disability Leave (PDL). Employers of five or more persons have additional obligations under the PDL. Employees on CFRA leave of absence may also be eligible for six weeks of paid leave under FTDI, a program administered by the California Employment Development Department (EDD). PFL does not provide job protection, only monetary benefits; however, your job may be protected through other federal or state laws such as the Family and Medical Leave Act (FMLA) or the California Family Rights Act (CFRA). The FMLA states that employees cannot be fired for taking their guaranteed weeks of medical leave, and they cannot be retaliated against for doing so. When employees return from FMLA leave, their employers are required to employ them in their former positions or in a job that is substantially similar. If the employee is on leave due to a medical disability, an employer cannot terminate the employee due to the protections of the Americans with Disabilities Act (ADA). Not only is it illegal to discriminate against an employee with a disability, an employer must attempt to make reasonable accommodations that will allow the employee to do his or her job. Employers can terminate an employee for reasons unrelated to leave and can do so whether the employee is on leave or not. For example, if an employee goes over the allotted twelve weeks, even by one day, the employer could terminate him or her for excessive absences. The important thing to remember is that while employers may terminate an employee while on protected leave, the employer must provide a legitimate reason for termination that is unrelated to the leave. Are you owed a lot of money in unpaid wages? Basically, an unpaid wages audit will help you determine whether you have been paid all of the wages that you are entitled to under California law. Whether it is an ex-employer that you have worked for in the last four years or a current employer, I suggest that you have an unpaid wages audit. Based upon what I see every day by talking to workers in California that contact our office, many folks have no idea how their employer is not paying them the wages they are owed under California. Your first step is contacting our office. First we will talk with you in order to get an initial determination of whether you are owed unpaid wages. This is a no obligation, and free. If we go forward with the unpaid wages audit, you will never have to pay us. Ever. It is up to you how you want to proceed after we explain to you the results. If we agree to accept your case, all of our fees will be approved by the court and paid directly by the company. You can call us at 619-304-1000 or fill out the contact form on this webpage. Disclaimer: Please understand these discussions and/or examples are not legal advice. All legal situations are different. This testimonial, endorsement and/or discussion does not constitute a guarantee, warranty, or prediction regarding the outcome of your legal matter, your particular case/ situation and/or this particular case/ situation. In other words, you outcome may vary. Just because we have had great results in so many employment law cases, doesn't guarantee any particular result with your case. Every case is different. Can I get California unemployment benefits if I was fired? Don't skip over this section (if you need money) - this is very important! When you're fired from your job, you need to start thinking right away about what you can and should do in order to improve your economic situation. Meaning, what you're going to be able to do in order to get money. I don't need to tell you how hard things can quickly get if you're no longer getting the paycheck that you're used to. That's why you need to start taking action immediately. For example, every day you wait to file for benefits is another day that you are going to have to wait in order to get your benefits. Every day that you wait to take action is another day that you may be going without getting the money that you need to live. Your problem though is not only taking action - which is very important - but also taking the right action to protect you and your family. In this article, I discuss your options if you're fired from a job. I strongly suggest that you don't just "skip over" some of these sections. You need to fully understand your options or you could be potentially, leaving a lot of your money on the table. After all, do you want the company that fired you to add insult to injury by getting to keep your money because you did nothing? Let me give you a quick example, suppose you were fired for cause and you don't qualify for California Unemployment benefits or California State Disability benefits, you could still be owed a lot of MONEY (read: wages) based upon your employer committing California Labor Code violations. We get calls like this all the time from folks that get fired from their job. A family member or friend tells them to call us. The person that was fired then gets one of our free, no obligation, Unpaid Wages Analysis and lo and behold they discover that they are owed thousands of dollars in unpaid wages. Would thousands of dollars help your financial situation? What you are going to see is that California wrongful termination law and California wage and hour law is such that most workers have no idea whether or not the company that they used to work for violated California law. For most folks the only way to find out if they're owed thousands and thousands of dollars is to consult with an experienced California employment law lawyer/ labor law lawyer. Since most folks don't have the money to hire a lawyer to even find out if they have a case, we will do the analysis for you for free. And if we end up agreeing to take your case - you never have to pay us any money out of pocket. We handle all our cases under a contingency fee agreement, where you don't have to pay us unless we win. As I explain more in this article - I'm not guaranteeing that you will get money like so many of our clients do. What I am saying that if you want to get the money that you're entitled to you have to know your legal rights and take the right action to enforce those legal rights. Here are some of the options I discuss in this article. First, do you qualify (read: can you get) California unemployment benefits? And if so, what you need to do in order to make sure you get your benefits. Second, do you qualify (read: can you get) California State Disability benefits. And if so, what you need to do in order to make sure you get your benefits. Third, do you have a viable wrongful termination lawsuit? Fourth, do you have an unpaid wages case? Again, don't assume that you got paid the wages you were owed. Fact is, most folks have no idea that they may be owed thousands of dollars in unpaid wages. Yes, if there was no misconduct. Employees who lose their jobs due to company cuts, reductions, mergers, or layoffs are not responsible for the loss of their positions, so they are eligible for unemployment. Employees who are terminated for misconduct cannot collect benefits. 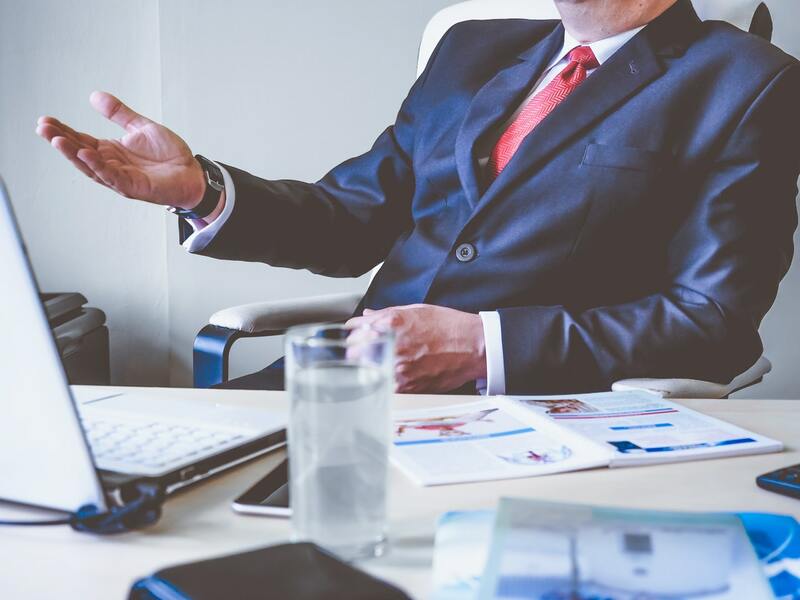 To qualify as misconduct, an employer must be able to show that you substantially breached one of your regular job duties and that your misconduct was intentional and informed. However, if you were fired because you made an honest mistake, were unable to adequately perform your job, or you weren't a good fit for the position, you should be able to collect unemployment as long as you are looking for work. Too often I see company's trumping up charges just to terminate people in order to get out of paying unemployment benefits. Time and again, I have seen folks challenge the "alleged misconduct" and go on t get awarded unemployment benefits. In most cases, people who quit their jobs are not eligible for unemployment unless they can show good cause for leaving employment. For example, employees who were facing illegal or unethical treatment by their employers (such as harassment, threats, discrimination, or a dangerous work environment) can collect unemployment if they attempted to resolve the situation before leaving their jobs. In addition, employees who need to relocate for family reasons or have pressing health or personal matters may be eligible for unemployment benefits. 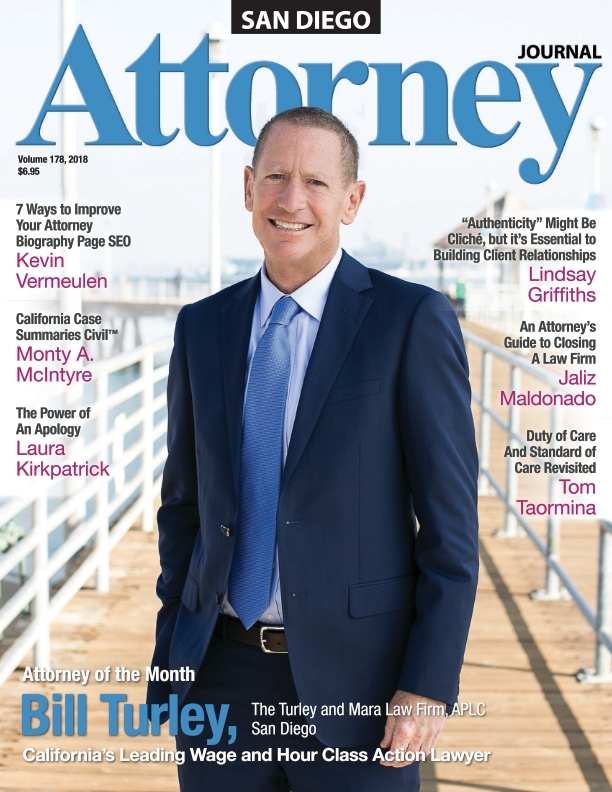 Bill Turley is regarded as one of the foremost experts in employment law in California. This is why Bill is asked to testify before the California legislature on employment law. What are the rules for “reporting time pay” in California? Under California Industrial Welfare Commission (IWC) Orders, employers must pay employees for unworked (but regularly scheduled) time, also known as reporting time. Simply put, any time an employee is required to show up to work should be considered paid time, even if he is not given a sufficient amount of work to cover all hours. Under the rules of reporting-time pay in California, if an employee is required to report to work, but performs less than half of his or her usual work hours, the employee must be paid for at least half of the scheduled day’s work at his or her normal pay rate. In addition, employees cannot be paid for less than two hours on a day of reporting, regardless of the time worked. What is California reporting time pay or show up pay? What is in the California Wage Orders on reporting time pay? What if I have to call in to work by telephone to see if I have to work that day? Am I entitle to be paid if I have to call into work to see if I actually work that day? What if I have to log on to the computer or check by my cell phone to see if I have to work... Am I entitled to reporting time pay? Are there exceptions to California reporting time laws? Under California law, if you are require to report for work and you don't actually work, but are no provided at least half of your usual hours, then you are owed reporting time pay. You must be paid the greater of half of your usual scheduled day (up to 4 hours) or 2 hours at your regular rate of pay. (A) Each workday an employee is required to report for work and does report, but is not put to work or is furnished less than half said employee’s usual or scheduled day’s work, the employee shall be paid for half the usual or scheduled day’s work, but in no event for less than two (2) hours nor more than four (4) hours, at the employee’s regular rate of pay, which shall not be less than the minimum wage. (B) If an employee is required to report for work a second time on any one workday and is furnished less than two (2) hours of work on the second reporting, said employee shall be paid for two (2) hours at the employee’s regular rate of pay, which shall not be less than the minimum wage. (C) The foregoing reporting time pay provisions are not applicable when: (1) Operations cannot commence or continue due to threats to employees or property; or when recommended by civil authorities; or (2) Public utilities fail to supply electricity, water, or gas, or there is a failure in the public utilities, or sewer system; or (3) The interruption of work is caused by an Act of God or other cause not within the employer’s control (D) This section shall not apply to an employee on paid standby who is called to perform assigned work at a time other than the employee’s scheduled reporting time. Telephonic report: What if I have to call in to work by telephone to see if I have to work that day? One of the questions I get asked is, Am I entitle to be paid if I have to call into work to see if I actually work that day? This is called telephonic reporting. That is, employers will make employees call in to work and see if they work a shift that day. If your employer makes you do this and you are not required to work, then you are owed California reporting time pay for having to call in to work. Ward v. Tilly's, Inc. (2019) 31 Cal.App.5th 1167, 1178. Meaning, you are owed two to four's pay, every time that this happens. The reporting time pay requirement operates as follows. If an employer directs employees to present themselves for work by physically appearing at the workplace at the shift's start, then the reporting time requirement is triggered by the employee's appearance at the jobsite. But if the employer directs employees to present themselves for work by logging on to a computer remotely, or by appearing at a client's jobsite, or by setting out on a trucking route, then the employee “reports for work” by doing those things. And if, as plaintiff alleges in this case, the employer directs employees to present themselves for work by telephoning the store two hours prior to the start of a shift, then the reporting time requirement is triggered by the telephonic contact. Ward v. Tilly's, Inc. (2019) 31 Cal.App.5th 1167, 1185. If work operations are interrupted by threats to employees or property. If civil authorities recommend that work be suspended. If public utility services are interrupted, shutting off electricity, water, gas, or sewer service in the workplace. When work is interrupted due to an act of God, such an earthquake or other natural disasters. If the employee has reported but is not fit to work. If the employee reported to work later than his scheduled time and was fired or sent home as a disciplinary action. If the employee is compensated on paid standby status. If the employee’s regularly scheduled shift is less than two hours. If you don’t know your rights, it is easy for an employer to take advantage of you. In our free guide, The Ultimate Straight Talk Guide To Getting Your Hard-Earned Wages Back, we explain how employers can nickel and dime employees out of their paychecks, resulting in thousands of dollars worth of lost compensation. Download your copy today to get the facts on California wage violations. Believe it or not, Bill is known for being a no B.S. straight-up lawyer. Besides being known as one of the leading experts on this area of the law in California, one of the reasons why Bill is asked to testify at legislature hearings is because he is known for being straight-forward and blunt. He is known for being no B.S., with no lawyer-talk, no double-talk. Is “donning and doffing” required to be paid for by a California employer? In order to perform their work effectively, many employees are required to wear special clothing, such as hats, boots, aprons, and other equipment. Depending on the job, it can take over 10 minutes to put on and take off required clothing before and after each shift or breaks. In some cases, employers may insist that this “donning and doffing” be done on the employee’s own time. Police officers, doctors, mechanics, and other professionals who are required to wear uniforms should be paid to do so on-premises, especially if their work activities require a change of clothes mid-shift. Some workers need to wear safety gear for the full duration of their shifts, such as food service workers or biochemical engineers. In many cases, the protective equipment needed takes several minutes to put on and take off, and doing so at home could compromise both the safety and sterility of the uniform. Any changing of clothes that cannot be done at home without posing a threat to the worker or work environment must be paid for by your employer. Some employees are required to report earlier than their scheduled start times in order to orient themselves about the day’s events. Nurses may be required to talk to the previous shift nurse to document medications taken by each patient, while waiters often arrive early to memorize daily specials and taste dishes to describe them to customers. Employees are often told that this time is required, but is not paid—leading to hundreds or thousands of lost wages over the course of an employee’s career. There are occasional instances where an employer will require a worker to be on the premises early in order to unlock doors, sign for a delivery, or meet a visitor. If you arrive earlier than your usual shift to “open up,” make coffee, answer e-mails, take calls, schedule appointments, or anything else for your employer, your paid time begins when you begin work—regardless of when others arrive. A full-time employee who has been docked pay for pre- and post-shift work could be entitled to a significant amount of overtime pay. Learn more about California wage violations in our free guide, The Ultimate Straight Talk Guide To Getting Your Hard Earned Wages Back. We are not saying this to brag. We are telling you this so you will know that Bill knows what he’s talking about. Bill Turley represented the workers in the leading California Supreme Court case on California unpaid wages law - Brinker vs. Superior Court. Bill wrote the winning briefs in the recent California Supreme Court cases - Augustus vs. Superior Court (the leading case on rest breaks) and Williams vs. Superior Court (the case that gives you the right to getting the names of your co-employees in a PAGA case). Bill is regularly asked to testify before the California State Senate and the California State Assembly on unpaid wages law. Bill helped write the recent changes to California's unpaid wages PAGA laws. How do I know if my job is covered by California’s Wage Order Number 9? Wage Order Number 9 applies to workers in California’s transportation industry. The term “transportation industry” is used to refer to any business or establishment that carries persons or property from one place to another by road, rail, air or water. 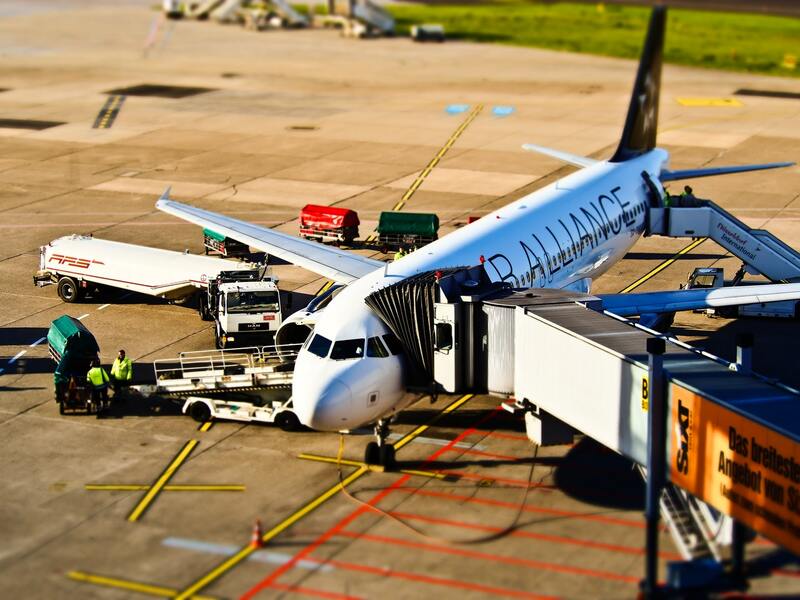 It includes all operations and services connected with the transport of persons and property, including storage and warehousing and the parking, repair, maintenance, cleaning, and rental of vehicles. Truck drivers, delivery drivers, and commercial drivers are covered by California’s Wage Order Number 9, yet these workers rarely get the rest breaks and meal periods guaranteed by state law. This is because employees don’t always understand their rights. If you think you have a California wage and hour case, make sure that you choose an experienced attorney. 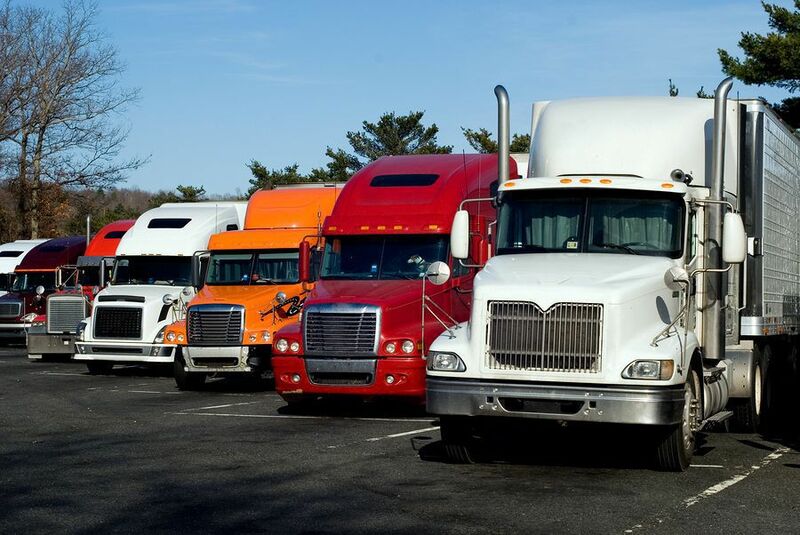 Attorneys who don’t specialize in truck, delivery and commercial driver law may undervalue your claim because they don’t understand California’s wage and hour law and how it applies to drivers. Bill is listed as amicus counsel on over 20 California Supreme Court cases and Bill wrote two winning amicus briefs for important recent wage cases before the California Supreme Court. What are the rules governing overtime wages in California? Federal Law requires employers to pay overtime wages to any eligible worker who works more than 40 hours in a workweek (168 consecutive hours). Overtime pay is paid at a rate no less than one and one-half times the regular pay rate (time and a half). California overtime rules build on federal laws, but there are significant differences. One important difference between California overtime law and federal overtime law is California’s 8-hour workday. In California, non-exempt employees are entitled to overtime pay when they work more than eight hours in a single day. The worker must be paid time and a half for the extra work. There is an exception: California employers may offer an alternative workweek. For example, a dental office may ask its hygienists to work four 10-hour days instead of five 8-hour days in order to offer evening appointments. Employees must be given a chance to vote on the alternative schedule. The schedule must be approved by two-thirds of the employees in the affected work unit. In this case, the employees could work up to ten hours without receiving overtime. Eligible employees who work more than 12 hours in a single day, are entitled to receive twice their regular rate of pay for those work hours. Both federal and state laws require payment of overtime wages to employees who work more than 40 hours in a 7-day work week. This rule applies to any period of 168 consecutive hours. A California employee who works for seven consecutive days in a single workweek, is entitled to time-and-a-half overtime for the first eight hours worked on the seventh workday. Are You Covered by California’s Overtime Laws? There are exemptions to California’s overtime law. Workers who receive a salary that is at least twice minimum wage ($10.50 per hour) are exempt from overtime. The worker must also qualify as an exempt professional, exempt executive, or exempt administrator. Firefighters, police officers, government employees, and certain computer professionals are also overtime exempt. 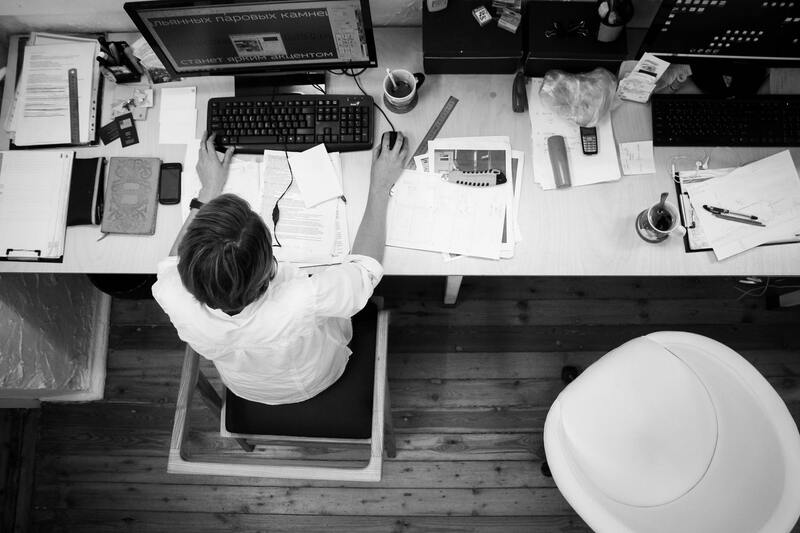 If an employee is misclassified as overtime exempt, his employer must pay the employee any unpaid overtime as well as penalties, interest and attorney’s fees. If you believe that you are owed overtime, contact a skilled California wage and hour attorney. The attorney will be able to tell you if your employer owes you money. Bill Turley has a State-wide practice. While his main office is in San Diego, he handles cases for workers all over California.